The U.S. Consumer Product Safety Commission have recalled about 29,000 Pampers® Natural Stages Infant Ortho and Bulb Pacifiers as they fail to meet federal safety standards. 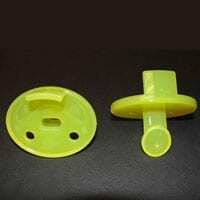 The Pampers pacifier comes in yellow, pink or blue colors and is made of silicone. “Stage 1” and “Ortho” or “Bulb” are printed on the package. The product comes two per package and were sold from April 2010 through February 2011 for about $6. Consumers should immediately take the recalled pacifiers away from infants and contact Key Baby at (800) 447-1224, or visit www.key-baby.com for instructions on returning the product.